For the commercial aviation industry, cutting carbon emissions isn’t just about saving the planet. It’s also about saving money. For low-cost carriers, who operate on razor-thin margins, and are the most susceptible to fluctuations in global oil prices, this goes double. It is in that spirit that EasyJet has announced an ambitious pilot program that will see the installation of zero emissions hydrogen fuel cells on much of its fleet. Keep in mind, the new zero emissions engines are intended for ground use only, when planes are taxiing to and from their gates. But the financial and environmental impact of this small window is truly impressive. Replacing jet fuel-burning engines with almost any alternative for this small part of the flight process could save an estimated 77,000 gallons of jet fuel a year — per plane! 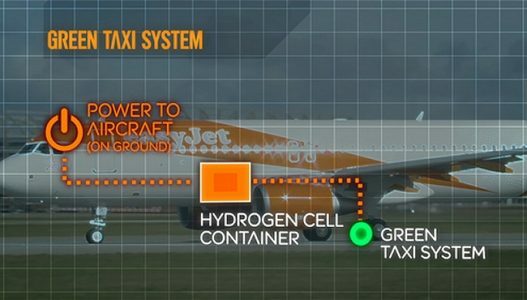 EasyJet’s fuel-cell system will use the energy generated by a plane’s brakes during landings to charge lightweight batteries in the cargo hold. Electric motors in the plane’s wheels would then tap these batteries to power the plane as it moves across the ground. Each new landing would provide a new charge for the batteries. To read more at USA Today, click here.